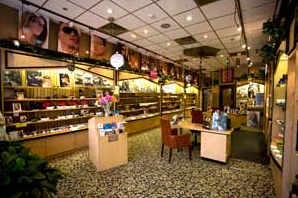 Westchester's Central Eyes Optical is a unique optical boutique, conveniently located in Hartsdale on the main thoroughfare of Central Park Avenue, with ample free on-site parking. Our passion is caring for eyes and adorning them with the perfect eyewear for each patient's unique visual needs, lifestyle, style preferences, & budget. Our space was designed for maximum comfort and enjoyment during your visit, and we welcome kids of all ages. Dr. Stark has been associated with Central Eyes Optical since 2007 and has over 25 years experience in Optometry. He practices family eye care and specializes in the diagnoses and management of ocular disease of the anterior segment, referral and co-management of cataract and corrective surgery, computer vision syndrome, evaluation and fitting of all types of contact lenses, and the diagnoses and treatment of contact lens complications. Dr. Arwade earned her Doctor of Optometry degree from SUNY College of Optometry and completed clinical training at Woodhull Hospital in Brooklyn, Somers Eye Center and West Point Military Base. In addition to providing comprehensive eye exams to patients of all ages, Dr. Arwade is trained in ocular disease, pediatrics, and contact lenses. She especially enjoys fitting multifocal contact lenses for those that need reading glasses. Originally from California, Dr. Arwade is excited to share her skills with Hartsdale. Sharron Sanchez is a licensed, certified optician with over 16 years' experience in vision care. 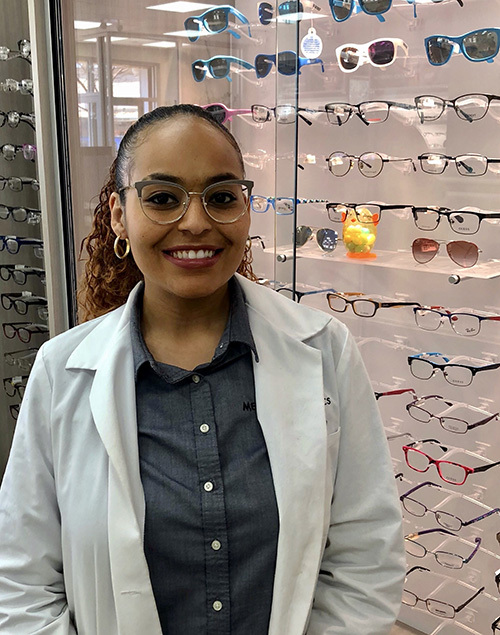 A resident of Westchester and mother of two (a boy and a girl who both wear glasses), she especially loves working with little ones so they feel comfortable and happy in their new eyewear. Sharron's patients value her keen fashion sense, attention to detail, and knowledge of lenses. 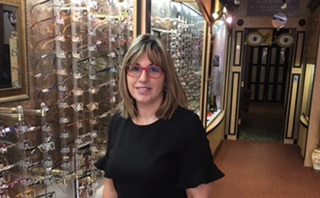 A state-licensed optician for over three decades, Lisa was inspired by her father - a self-employed family optometrist for over 60 years - to join the eye care industry. She provides superior care and service to the diverse community of eyeglasses wearers who value her warmth, knowledge, and unique fashion sense when selecting and fitting eyewear. More often than not, you'll find her in glasses-themed clothing and accessories inspired by her love of all things optical! Denise Fitzpatrick has 8 years of optical experience and has been part of the Central Eyes family for as long. She is a mother of 3 sons (all eyeglasses wearers, one with amblyopia) and a resident of Westchester for 27 years. As such, she is sensitive to the needs of children with vision problems and concerned parents. Denise’s goal is to ensure that patients feel comfortable throughout the eye care process, from exam to eyewear pickup, by considering each patient's unique needs and providing the most relevant, accessible frame and lens options. Her goal: for everyone who visits Central Eyes to enjoy optimal vision, and love how they look and feel in their eyewear. 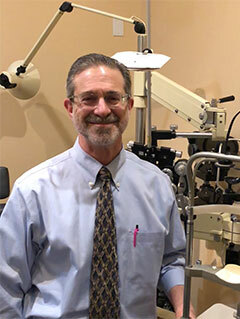 Dr. Robert Cohen has been an audiologist in Westchester county for over 25 years and now has joined our practice as a hearing aid and low hearing detection specialist. Call for a hearing evaluation and the best price in NY for hearing aids.